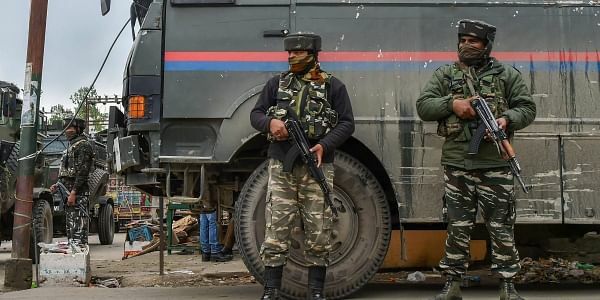 A Home Ministry statement said that security forces had been told not to launch operations in Jammu and Kashmir during the holy month. NEW DELHI: The Centre on Wednesday agreed to Kashmir Chief Minister Mebhooba Mufti’s proposal for ceasefire in in Jammu and Kashmir during the holy month of Ramzan. Announcing conditional ceasefire, the Ministry of Home Affairs (MHA) asked the security forces not to launch operation against terrorists during the holy month. However, the Centre clarified that the security forces “reserve the right to retaliate if attacked or if essential to protect the lives of innocent people”. Earlier this month, after an all-party meeting, Chief Minister Mehbooba Mufti had appealed the central government to consider a unilateral ceasefire in the state starting from Ramzan in mid-May till the completion of the Amarnath yatra in August. She had said that a ceasefire would provide relief to the people and help create a better atmosphere in the state. At that time, the state BJP seemed to be opposing such a decision. The party's state unit had said militants were demoralised due to Army action and a unilateral ceasefire would ease pressure and allow them to re-energise. There has been alot of violence in Kashmir this year. It has witnessed the killing of over 55 militants including at least 27 locals this year. A group of citizens, including former Union Minister Yashwant Sinha and former Chief Information Commissioner Wajahat Habibullah, had also extended support to Mufti's call for a unilateral ceasefire till completion of the Amarnath Yatra. During the month of Ramzan, Muslims across the globe observe fast to commemorate the first revelation of the Holy Quran to Prophet Muhammad.